Marcus Croskell sets out the current jurisdiction of the courts of England and Wales and the risks of Brexit to the UK’s continued dominance as a centre for fighting domestic proceedings with a foreign element and international legal disputes. The High Court in London is the leading court centre for Europe and is often defined in international business transactions and legal agreements as the jurisdiction of choice. There are usually two issues when considering litigation involving foreign defendants. Firstly, what is the lex causae, shorthand Latin expression for the law governing the relationship between the claimant and defendant. Secondly, which is the lex fori, i.e. which jurisdiction should have custody of the litigation. The current position is very mixed with a large body of European rules as well as international conventions. These pose a number of different options for the United Kingdom after Brexit. Brussels I (revised by Brussels I (Recast)) developed the 1968 Brussels Convention and was updated with developments as the European Community (“EC”) became the European Union (“EU”). Today, they apply universally to member states of the EU (save Denmark) and generally, it is where the defendant is domiciled that has jurisdiction subject to some specified exceptions set out in the Regulations. Much of Brussels I (Recast) was already in English law when the original 1968 Brussels Convention was incorporated through the Civil Jurisdiction and Judgments Act 1982 (“1982 Act”). As to the special jurisdiction or exceptions, some examples include where a party is the supplier of goods or services. In those circumstances it is likely that jurisdiction is retained by the claimant (Article 7). In Credit Agricole Indosuez v Chailease Finance Group  1 ALL ER (Comm) 399, the Court of Appeal applied the 1982 Act (which replicated the current exceptions on domicile). Credit Agricole’s branch in Geneva had issued a letter of credit for the sale of a vessel upon the production of certain documents to their Geneva offices. CFG instructed Credit Agricole to pay the money from London. 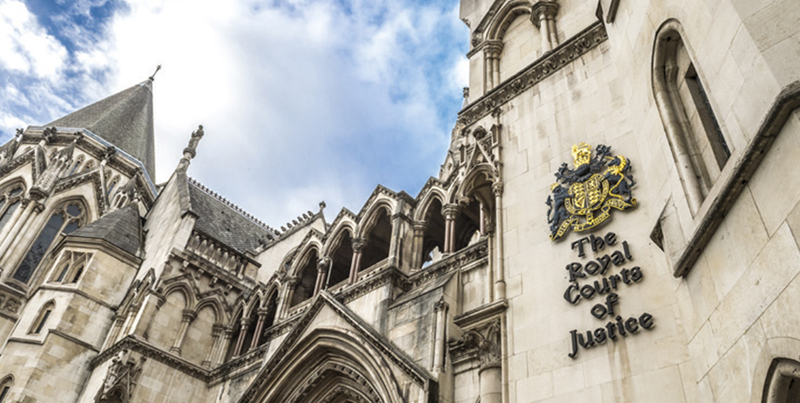 In the lead judgment from Potter LJ, the Court of Appeal found that the performance of the contract was the payment of the credit and that was to take place in London. Therefore, they held the English courts had jurisdiction as the contract and service was principally performed in London. The court must apply Brussels I (Recast) to determine if it has jurisdiction. When the UK leaves the EU on 29 March 2019, it will immediately fall out of the Brussels I (Recast). It cannot be unilaterally incorporated into English domestic law as it relies on reciprocity which currently is not forthcoming from other EU states. Unlike in the choice of law of agreements considered below, there is no obligation on EU member states to agree and they will likely apply their own national law. Currently under Articles 62 and 63, Brussels I (Recast) sets out the definition of the domicile of a party. The domicile of a person is determined by the rules governing the member state. If the matter involves a different type of legal personality such as a company, then it is the place of incorporation that is determinative together with the location of its central administration or principal place of business (Article 63). However, defendants domiciled in countries outside European Economic Area (“EEA”), i.e. the EU and an EFTA member state (European Free Trade Association) are not bound by Brussels I (Recast). Exceptions to this include cases related to employment, consumer issues or the matter is subject to a contractual provision dictating the jurisdiction and applicable law. ETFA states include Norway, Liechtenstein, Switzerland and Iceland. The common law rules provide that the jurisdiction of the English courts is founded on service (in or out of the jurisdiction) and on submission by the defendant to the jurisdiction. The first of these concerns service within the jurisdiction. If a person that is a defendant is within England and Wales and validly served with proceedings (see CPR r.6.6), there is jurisdiction in the English Courts, e.g. Bestolov v Povarenkin  EWHC 1968 (Comm). It should be noted that the rules on service relating to EFTA member states do not apply to Switzerland. Secondly, valid service may be beaten by a contractual provision regarding jurisdiction or an arbitration clause or if the matter relates to foreign land or intellectual property matters/rights. If service is affected outside the jurisdiction either with permission of the Court or without if not required respectively under CPR r.6.36 and 6.33, there are jurisdictional gateways under Practice Direction 6B. Under PD6B you must show that the location of the litigation is the proper place and has a reasonable prospect of success. If the defendant is not from an EU member state, then further consideration should be given if they are signatory to the Lugano Convention 1988 (“Lugano I”). Lugano I was originally between the then 12 member states of the EC and the then six members of EFTA. This was updated in 2007 (O.J L339/1) and currently includes Switzerland, Norway and Iceland (“Lugano II”). Lichtenstein was a party to Lugano I only. The previous iteration had more parties, but a number have now joined the EU as member states. Lugano II mimics many of the aspects of Brussels I and interpretation of its terms are undertaken with a view to jurisprudence considering Brussels I and now Brussels I (Recast). It includes similar provisions to Brussels I (Recast) such as where a party is the supplier of goods or services, it is likely that jurisdiction is retained by the claimant (Article 5(1)). Just as for Brussels I (Recast), upon the UK withdrawing next year from the EU, the Lugano II will no longer apply to English courts. The same applies to the Hague Convention on Choice of Court Agreements 2005 (“Hague Convention”) that gives a series of narrower protections in Mexico and Singapore. The Hague Convention is more restricted in nature enforcing jurisdiction choices already stated in contracts and cannot resolve cases where they are absent (a key feature of Brussels I (Recast) and Lugano II), plus it excludes consumer and tort matters, IP disputes and antitrust cases. Lord Hodge in Wood v Capita Insurance Services Ltd  A.C. 1173 at paragraph 15 stated, “One of the attractions of English law as a legal system of choice in commercial matters is its stability and continuity, particularly in contractual interpretation.” The UK should be aspiring to continue this approach after Brexit. English law always has the fall back option of enforcing the common law which effectively looks at all the circumstances and comes to a conclusion usually based on the jurisdiction with the closest connection to the facts of the dispute as well considering issues of service of proceedings (as noted above). Furthermore, the portability of English judgments and having them automatically recognised across the EU is currently a considerable advantage. Will this be the position post-Brexit? The choice of law will also be affected by the EU withdrawal. Rome 1 Regulation 593/2008 governs the choice of law in contracts after 17 December 2009 and Rome II Regulation 864/2007 applies after 11 January 2009 in which parties may select the applicable law of non-contractual obligations (e.g. anti-competitive practices, IP and product liability). Neither of these will be directly applicable in English courts post 29 March 2019. However, unlike Brussels I (Recast) and Lugano II, Rome I and Rome II can be incorporated into English law if we so choose. As unlike the former conventions, Rome I and Rome II continue to bind EU member states with an obligation to give effect to English choice of law agreements. The House of Commons Justice Select Committee published a report on 22 March 2017, ‘Implications of Brexit for the justice system’, noting the UK commercial law sector’s significant current economic influence nationally and internationally with many businesses with little or no connection to the UK choosing both English law and the courts of England and Wales to govern their contracts (paragraph 26). There is a significant overlap with the financial sector of which the consequences of Brexit could be severe if the City of London loses its dominance to Paris or Frankfurt. Due to the complex nature of many financial instruments, clarity of the legal position and the way in which disputes are settled is important now and in the future. The Commercial Court situated in the Rolls Building in London provides a vital service to the sector. With regards to jurisdiction, the Justice Select Committee accepts that maintaining the status quo is incredibly important for certainty in the English commercial courts and disputes that come before the High Court here (paragraph 28). In my view the UK should be seeking to become a signatory to Lugano II as a bare minimum when Brexit becomes a reality. Of course, some parties to litigation may choose in any event still to litigate in England and Wales due to the certainties it brings including a sophisticated infrastructure and highly developed jurisprudence in commercial matters in contract, tort and other disputes. There will likely be some disruption whilst the respective negotiating positions continue and a ‘no deal’ Brexit with no consideration of the effect on the legal system would be damaging. However, as the report from 2017 in the House of Commons Justice Select Committee shows, the matter is being considered even if it has not been agreed with our European counter parts to date. There are clear options available that give certainty to business and legal practitioners at home and abroad. The Government should continue to press for agreement on justice regarding commercial issues, family and criminal law. If you would like to instruct Marcus Croskell in your commercial or chancery dispute including any international litigation and arbitration, please contact his clerk Fraser Mclaren by EMAIL or on 01473 214481 for further details.